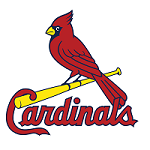 ST. LOUIS (AP) – Yadier Molina and Marcell Ozuna homered, Jack Flaherty tossed six effective innings and the St. Louis Cardinals beat the Los Angeles Dodgers 7-2 on Wednesday night. Pederson’s one-out shot in the sixth brought the Dodgers to 2-1. Los Angeles has gone deep in 11 of 13 games this season.